It's time for news of this week's download updates in Europe and, at long last, it's time for Wii U owners to rejoice. There's a shiny new download-only game available on the Wii U eShop, along with a discount and retail release. A welcome and puzzling sequel arrives on 3DS, while DSi and Wii also receive new titles. Let's get to business. The Cave (SEGA, €12.99 / £9.99) — A multi-platform release from the highly regarded Double Fine Productions, this is an adventure platformer that tasks you with exploring a variety of areas with a team of three, each with unique skills. This arrives in North America on 22nd January, yet it's now confirmed that it'll arrive in Europe a day later on Wednesday 23rd January. We'll be gearing up for some exploration to bring you a review soon. Mighty Switch Force: Hyper Drive Edition (WayForward Technologies, €6.99/£6.29 until 7th February) — This week sees another sale on the Wii U eShop, with the enhanced re-release of a highly regarded 3DS download joining in with a 30% discount. This one provides double the number of levels and spruced up visuals, and may be even more tempting at the lower price. 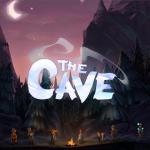 The Cave (Double Fine Productions, free) — As the first download-only release on Wii U in 2013, there'll be plenty anxious to see whether this is worth a purchase. This free demo provides the ideal opportunity to try before you buy. 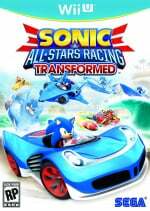 Sonic & All-Stars Racing Transformed (SEGA, free) — This demo has been available since late last week, and offers two tracks (one race and one challenge) to try out. Picross e2 (Jupiter Corporation, €4.99 / £4.49) — Picross is an old-favourite for many on Nintendo handhelds, and the release of Picross E from Jupiter Corporation last year was a welcome and, most importantly, strong entry in the puzzle genre. The sequel is now arriving with plenty more puzzles to keep us thinking, as well as an all-new Micross mode. We'll get our brains into gear and let you know whether this continues the good work of its predecessor in our upcoming review. 35 Junior Games (cerasus.media, €4.99 / £4.49) — This is a title that's emerged with few details, beyond the promise of delivering 35 exciting and entertaining games that include Tic-Tac-Toe, Solitaire, Chess, Air Hockey, Darts and more. We're always a little cautious of games that promise a bit too much, so we'll put this to the test to see whether these 35 games make one good download title. Nintendo Presents: New Style Boutique (Nintendo, free) — Available to download via the eShop, this is a free update that is supposed to be available now but, at the time of writing, isn't showing on our 3DS systems. Nintendo hasn't detailed what's included in the update, but as it's free we'll be happy with whatever it gives us. Snowboard Xtreme (EnjoyUp Games, 200 Nintendo Points) — While certainly seasonal — various parts of Europe are currently blanketed in snow — this title turns out to be a re-skin of Crazy Hunter and Zombie Skape, following the same basic style of play. It's functional but uninspired, while even as a budget game it's lacking sufficient content; check out our Snowboard Xtreme review for full details. Babel Rising (Lexis Numérique, 500 Nintendo Points) — A surprising and previously unknown title, this new WiiWare game gives us all what we perhaps desire the most: Godly power. Humans are apparently building the Tower of Babel to reach the skies and, therefore, lose faith in you; it's your job as a vengeful God to use powers and natural disasters to crush the vulnerable subjects. We'll be trampling all over the human race and letting you know whether this one is truly heaven sent. So there you have it, some eagerly anticipated releases and option for every platform. Let us know what you're planning to spend funds on in the poll and comments below. Ohhh, Picross E2, looking forward to that. And the Mighty Switch Force HD discount arrives? Great, I was waiting for that to get discounted. I would download the Sonic All Stars Racing Transformed Demo, buuuut I already have the game and have been enjoying it a lot. I highly recommend that you download this demo if you haven't tried it, you don't know what you're missing. Still, where's my Cave Story at? Wow, a lot of download content for us this week! Why can't we have that every week? Still no Zen Pinball 2. If it makes January it will be on the absolute last day since the 31st is a Thursday. Why NA still no have Picross e 1? Wow come NOA! We still haven't gotten the first one yet! The Cave, if I had a Wii U. Will wait for it to be released on PC instead. The rest looks dire unfortunately. Looking forward to The Cave review but will definitely download the demo (happy and unexpected event that that is) and try that out. I might look at Might Switch Force now it's been discounted, too. By DAWKINS I'll be buying The Cave and Picross e2! I thought the Zen guys said Zen Pinball was due the 24th. Picross e2 + The Cave. @hiptanaka I saw it was listed on the Nintendo EU site as available on the 24th but on the Zen forums they are saying they still don't have a release date. Interestingly the date on the EU site is now saying 31st. the cave and mighty switch force for me indeed! I might give the cave a look, but I'll pass on the rest. @RupeeClock - "Still, where's my Cave Story at?" The Cave looks very cool. Will try the demo out and see. Psst... Nintendo! 3DS VC? Anything? Anything at all? Cool cool... can always go for some more Picross. Good timing because I've nearly gotten through the first one. I'll be sure to give the demo of The Cave a shot, and then decide whether it's worth purchasing from there. Babel Rising is not exactly "unknown": it was released last summer in about every other platform. Reviews are not too exciting, unfortunately, but let's see what they've done. Still, a Will U version would make more sense! Might check out The Cave demo. I'll be hitting up both, demos (and then maybe the cave, if I like it), Mighty Switch force sure is tempting to double dip at that discount, and PIcross e 2 is a guarantee. Fortunately, my last exam is that day, so I'll be sure to have a busy evening! I'll play the demo of The Cave, but if I enjoy it, I certainly won't be buying it. It'll be half the price in a few weeks no doubt! I might - MIGHT....... Get Mighty Switch Force, but for £6 when I still have it on the 3ds.. The eternal question... Is it really worth it? Hmm considering Australia gets Trine 2 finally I may get that rather than the Cave. Finally some tough choices to make. 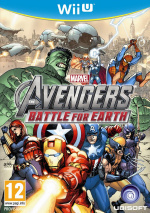 A new WiiWare game! Babel Rising looks like an interesting Tower Defense game. It's already available for IPhone, Mac, PC, XBox360 and PS3. Unfortunately still no Retro City Rampage. Maybe on January 31st then? The cave looks pretty good, I'll probably get that once I've got a Wii U. Pretty good week. I will definitely try both demos and get Picross e2 sometime soon. I'm not sure if I have enough money on my eShop account for Mighty Switch Force. I'll download it if I do. EU gets another Picross game? Not fair. Will US get the Cave's demo? OMG, Picross pleeeeeeeease come to NA soon!!!! If Picross e2 has a puzzle maker/editor then I'll get it. Otherwise I'll be disappointed again like with the first one. Mighty Switch Force for me. Not played the original and buying at the lower price will support the sale. I hope picross e2 comes to NA this week too! I would download instantly Picross . Come one, release it in America as well. Gotta wonder why they aren't releasing Picross in America. I'd give it a go, especially for that price. Looking forward to The Cave in USA!!! Seems to be a very decent week, but I'm still waiting for Mighty Switch Force to be released in Australia!!!!!! Anyone know anything about when its coming out here?!?! Babel Rising looks very interesting too. Will wait for a review on that though before I make any decision about it. Cave sounds a lot like trine with the three character dealio...we shall see. Maybe in another month Mighty Switch Force will be released in Australia, but then the discount will be over so I won't be buying it. 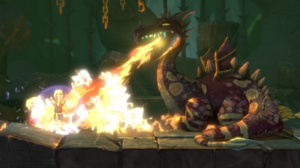 Trine 2 will finally be out this week but I'll wait for the inevitable discount. I'll get the demo of The Cave and I would get Sonic but I already have the full game! Glad I took the plunge even without a demo, it's definitely worth it. Haha! Nice one @SneakyStyle. Not wrong. You can use the UK eShop here in Oz, at a higher cost and loss of NN Premium Points and Club Nintendo Coins. If The Cave demo is any good, and IF it's released downunder, I'll get that and FINALLY Trine 2. The Cave and the discounted Mighty Switch for me. Maybe Babel Rising, if I have 500pts left after Retro City Rampage. Picross E-2. Love these sort of games, got through the first Picross-E game fairly quickly (just over 15 hours). I also recently finished Super Mario's Picross (SNES) on Wii's VC, which was a bargain for 900 Wii points as it had very nearly 300 levels including a large number of bigger puzzles (up to 25*20) available. Babel Rising exists in two differents versions: an old 2D version and a newer 3D version. The recent versions for XBLA, PSN, PC, Mac and IOs are the 3D versions. I believe the WiiWare version is based on the older 2D technique (unfortunately). This is how the 3D version looks like. This is how the 2D version looks like. Edit: This YouTube video of the WiiWare version confirms that. The only question is should I start playing The Cave tonight before starting Ni No Kuni? No one has mentioned the proposed update for New Style Boutique. There's a "Download" option in the main menu which leads to an online dead end, but with a message saying it's the place to go for new fashion. I'm hoping it's that. I've "purchased" several offered outfits from within my game's Mobile Phone which have not so far materialized, and I'm speculating they will be supplied via that page when it is activated. nothing interests me yet, but January 24 is my birthday! 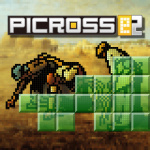 Picross e2 it will be, as soon as I have a new e-shop card!